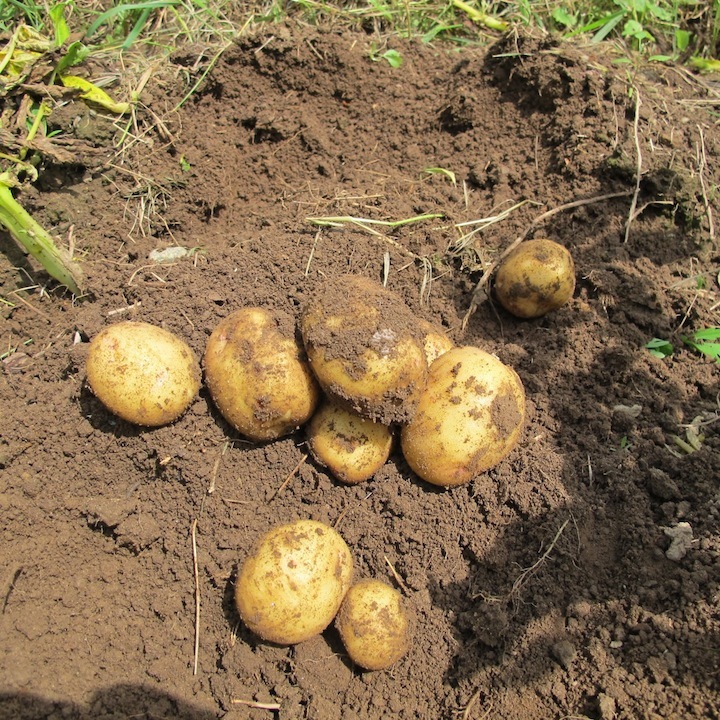 Potatoes . . . our First! We have potato beetles (Colorado beetles), Japanese beetles, slugs, snails, some random red beetles in the soil and all sorts of other bugs I can’t even begin to identify. 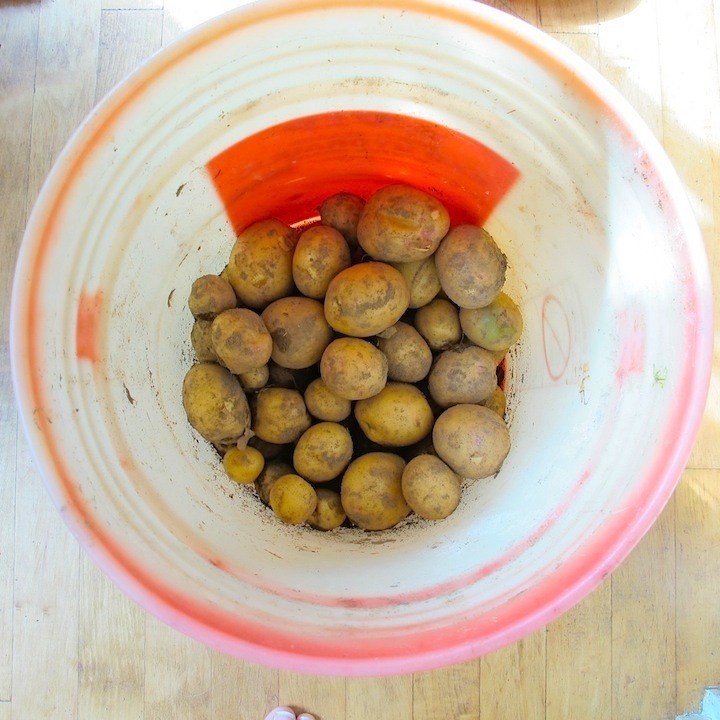 The potatoes continue on with the aid of my squashing (Colorado beetles) and drowning (Japanese beetles), and our watering (from the dug well quite a ways away . . . When I noticed a patch of dying leaves and stems (yellow, brown, crumpled and sad), I knew action was needed. So, we harvested the patch. The results are quite impressive, to me at least, . . . and I am now off to cook some of them for dinner. After the potato bug squashing fiasco . . . it was time to enjoy some ocean and boating. 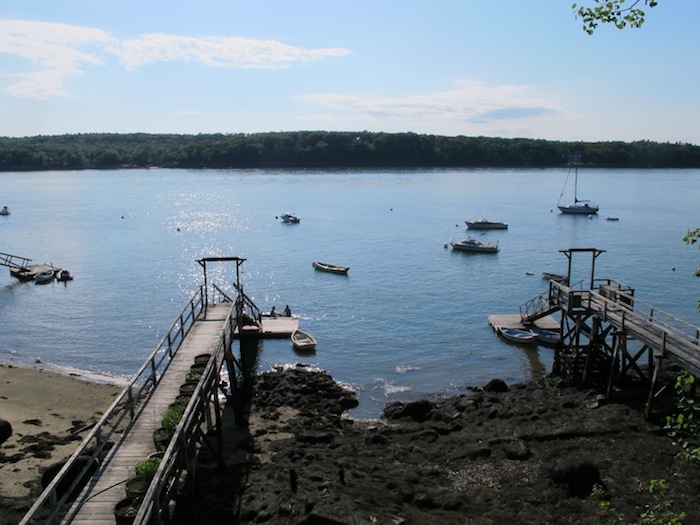 From rubber gloves and mushed bugs to the lovely South Bristol, Maine. South Bristol is only 25 minutes away from home yet sometimes it seems like forever. Yesterday we were lucky enough to be invited out for a boatride. 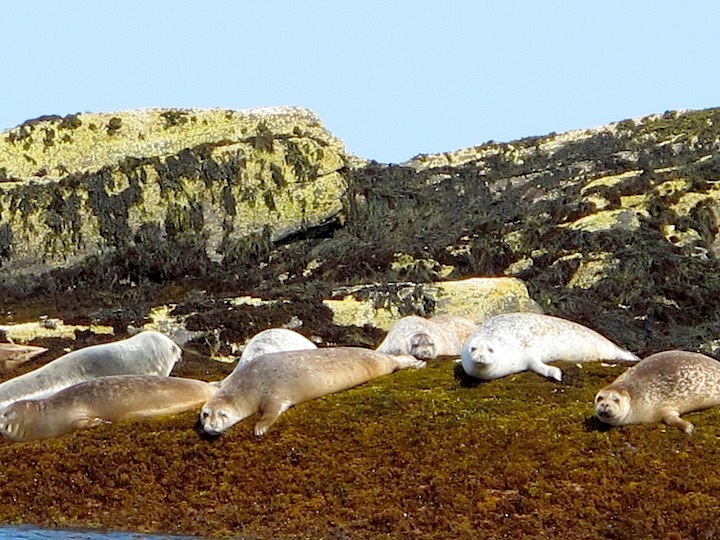 The heatwave had broken, a breeze was in the air, and seals were sunning themselves on the rocks. All in all a perfect afternoon finished off with drinks, friends, a solar shower and an amazing porch with a sunset view. 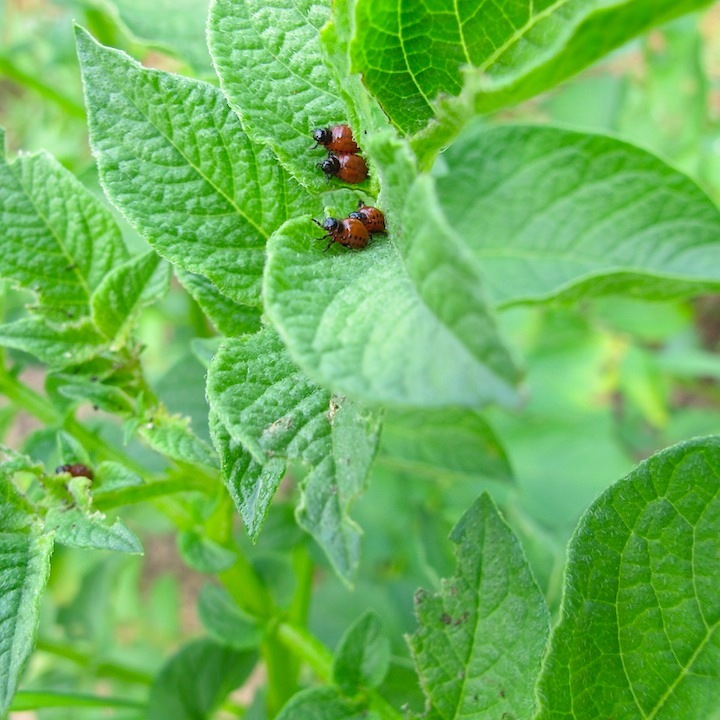 Salad, Beans, Tomatoes and Potato Bugs! 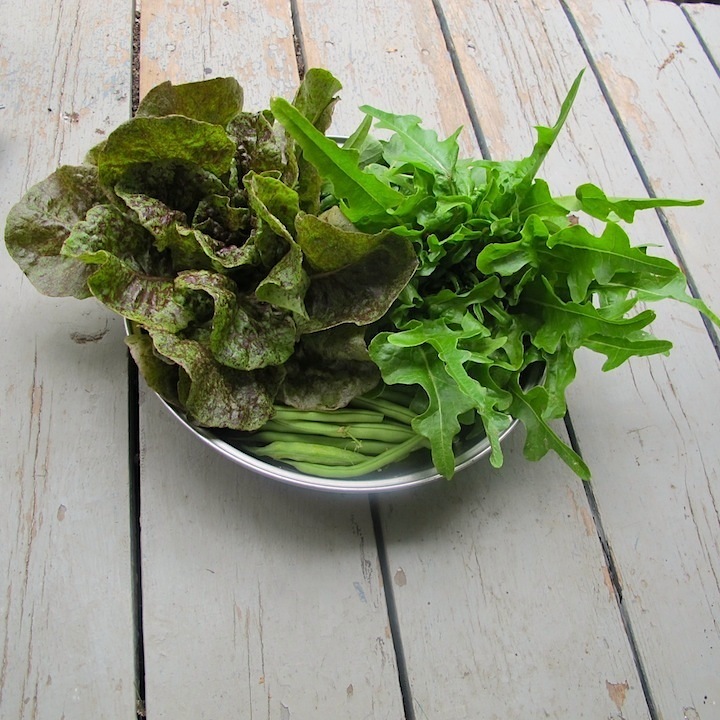 I picked our first salad. 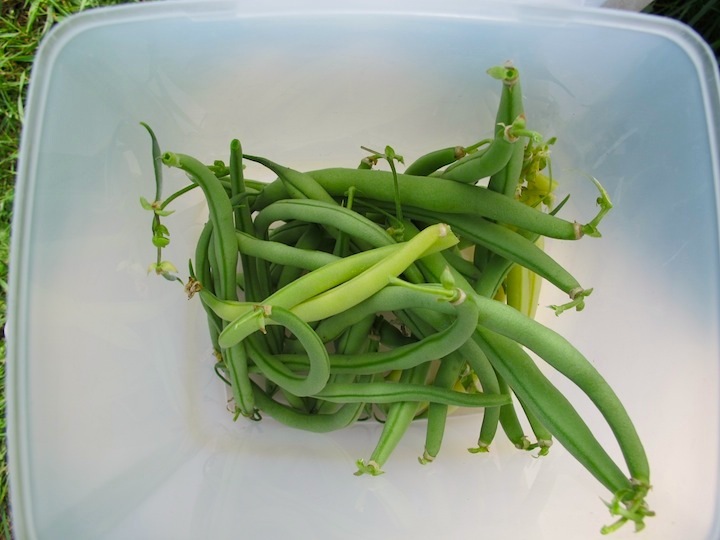 I picked our first beans (green and wax). 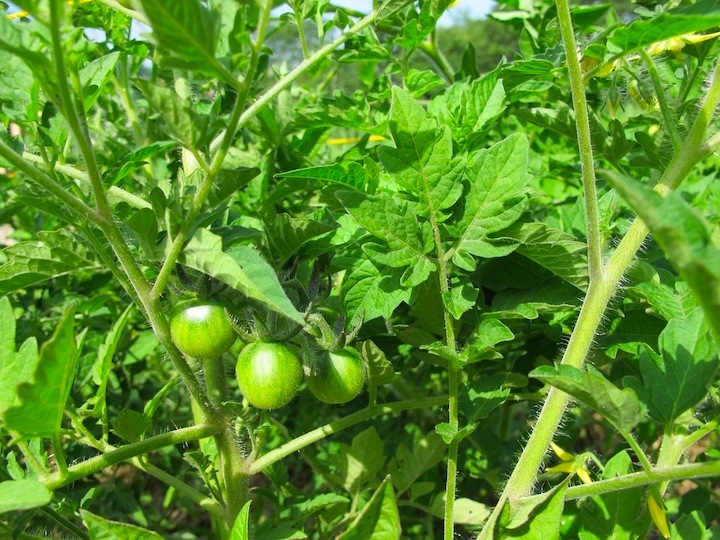 We noticed that there are now green baby tomatoes on the vine. So exciting. All is thriving and well in the garden, or so it seemed. 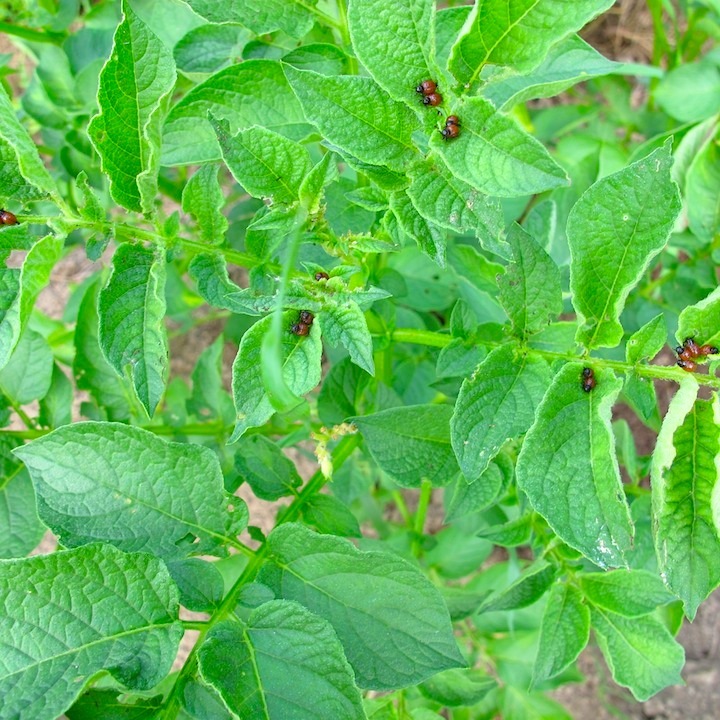 And then I noticed the potatoes and the infestation of horrible little bugs (and some not so little) munching on the leaves and taking down whole plants. A new task, smushing, cutting and burning these hungry fellows. Sunday morning in Paris? Croissants, brunch and cappuccino. 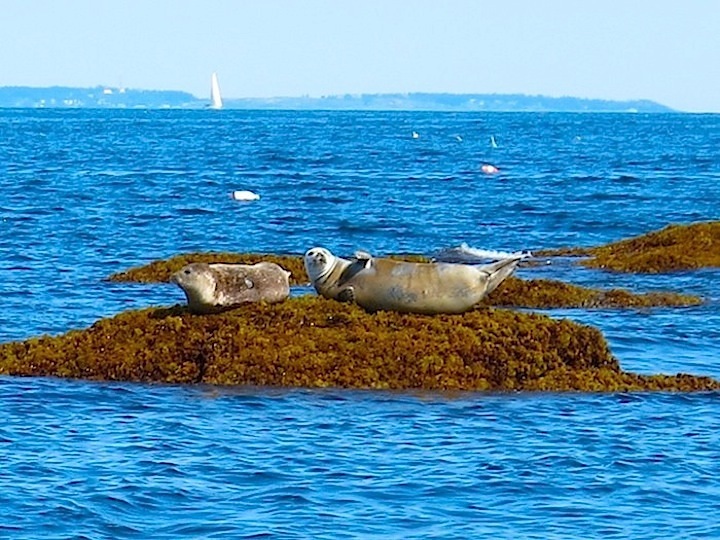 Sunday morning in Maine? 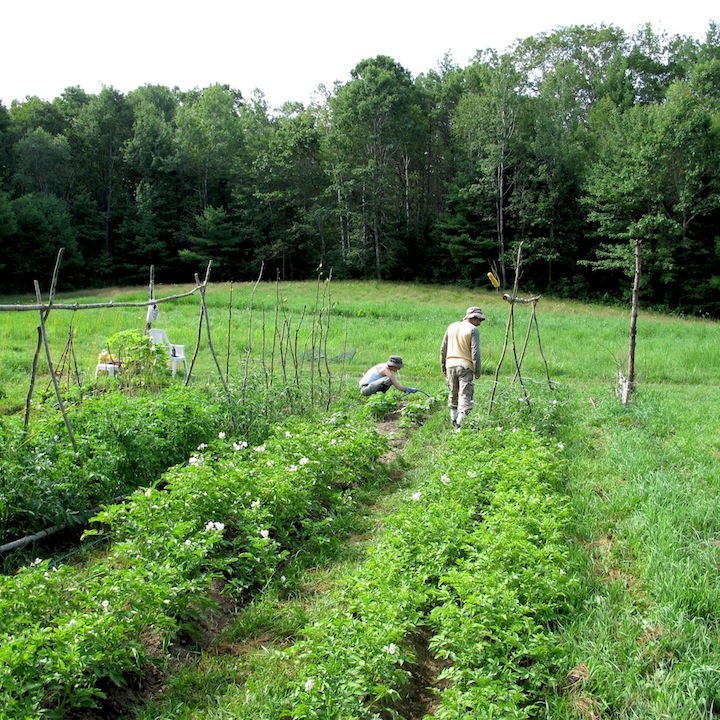 Picking produce, watering the garden, fighting against mosquitos, beetles flies, and squashing hordes of nasty bugs on my potatoes! 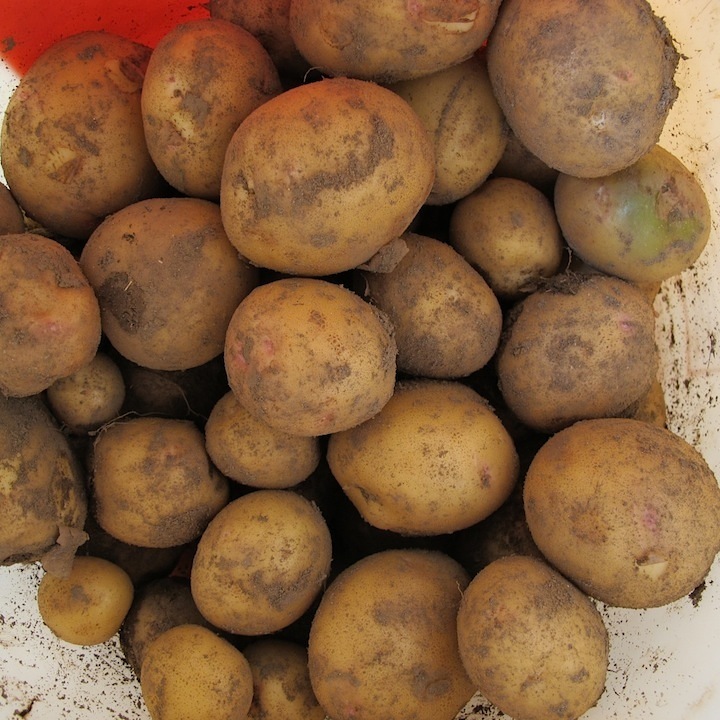 I must confess that after the watering, picking and crushing . . . I did eat a delicious croissant from the local bakery. Yumm! 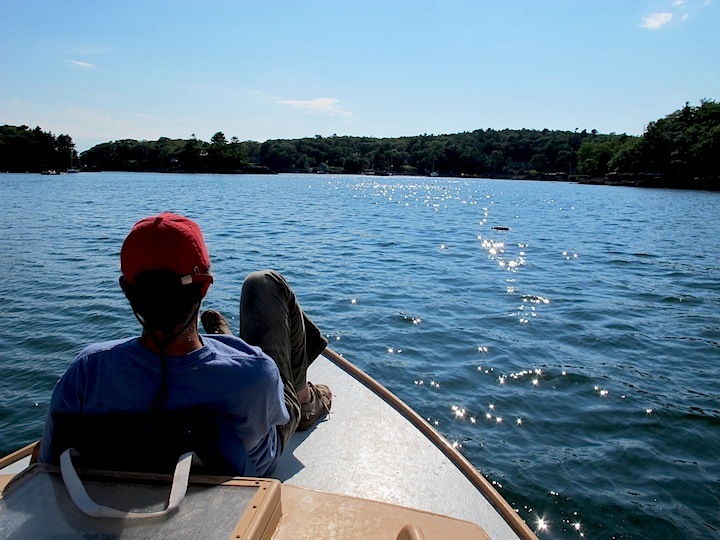 Maine. 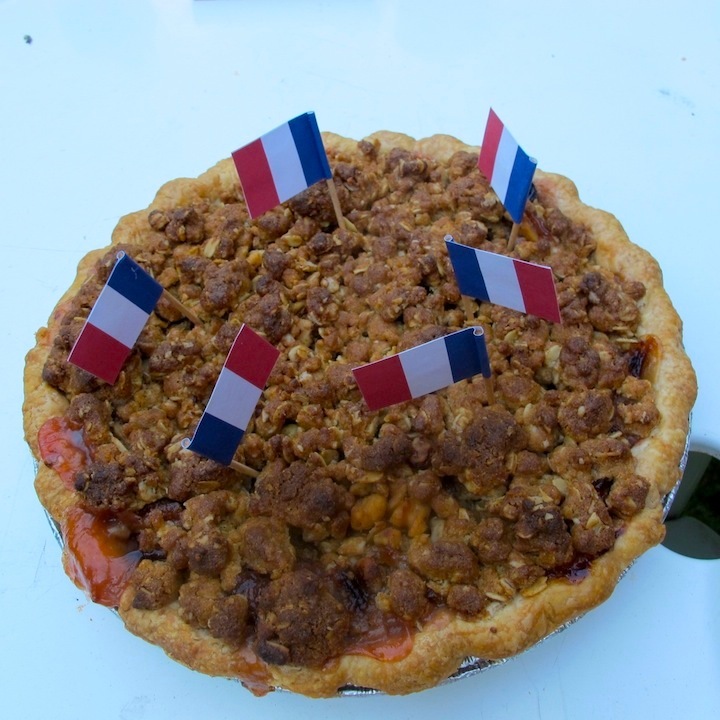 14 juillet. Hot and sticky. 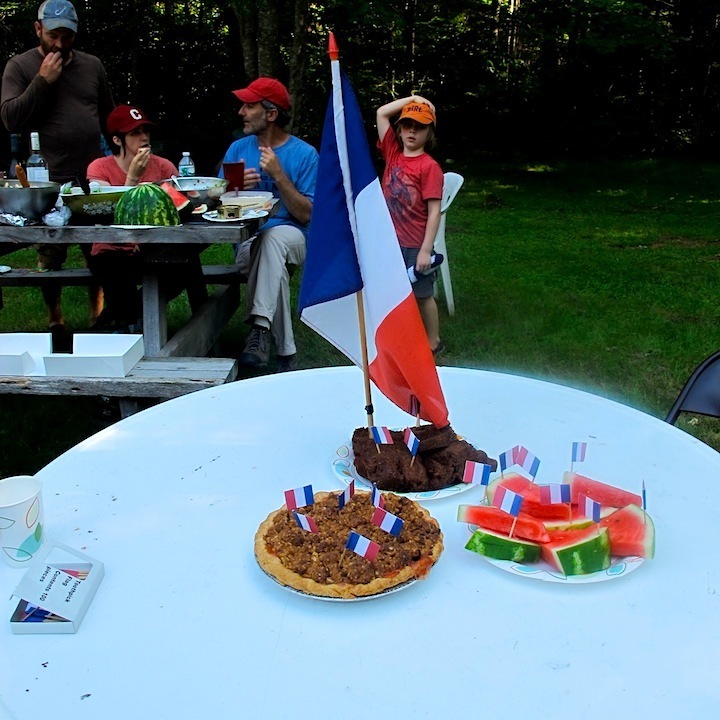 Bastille Day with friends . . . many French. Who knew there would be so many Frenchies in Maine? Pesto, salad, homebaked bread, baseball caps, beer, frisbee, and mosquitos. 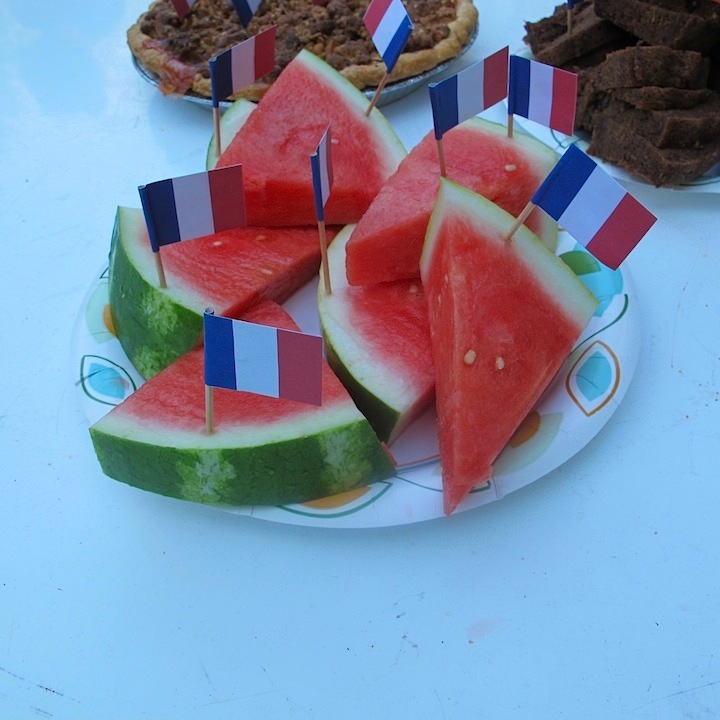 Watermelon, zucchini bread, blondies and peach rhubarb pie with French flags. Perfect. Except for the mosquitos of course. It’s the first thing we have harvested from the garden. 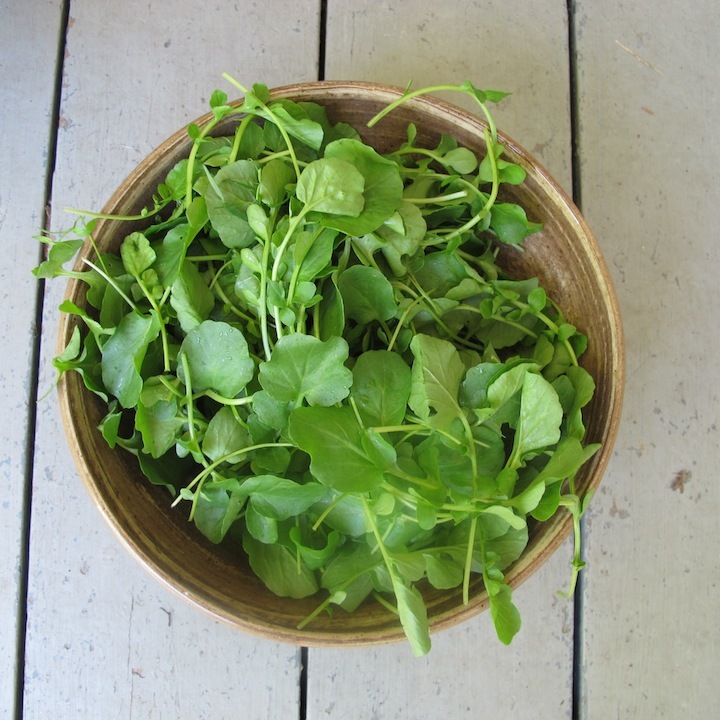 Watercress. Yummy, bitter and lovely. © 2019 paristomaine All Rights Reserved.